The general rule of thumb is, the older a building, the more likely it is going to be listed. All buildings built before 1700, which survive in anything like their original condition are listed, as are most of those built between 1700 and 1840. Generally speaking, the listed buildings we usually work with were built between 1714 and 1910; these are Georgian (1714-1830), Victorian (1837-1901) and Edwardian (1901-1910) buildings, simply because our specialisms lie with timber casement and sash windows renovations and restorations. There are approximately 460, 000 listed buildings in the UK however, ‘building’ is used with a wider meaning, including statues, walls, post boxes, telephone boxes and uninhabited structures. Clearly listed buildings help us acknowledge and understand our shared history, as period property specialists, this is something that we hold dearly. Grade I exceptional interest, sometimes considered internationally important – only 2.5% of listed buildings are Grade I.
Grade II* particularly important buildings of more than special interest – 5.5% of listed buildings are Grade II. Grade II buildings are nationally important and of special interest – 92% of all listed buildings are in this class and it is the most likely grade of listing for a home-owner. In order to proceed with work on a listed building or on a building in a conservation area, you must first apply for listed building consent from your local planning authority. If you are living in a conservation area and you need to discuss what changes you want to make to your house, the best person to speak to would be a conservation officer at your local council. As a bespoke joinery company, we’re fortunate to work with a wide variety of buildings, many of which are listed buildings or in conservation areas. To help readers’ progress, we have very strong relationships with many authorities and can help you. Alternatively, if you’d like to find out if a property is listed, you can search on The National Heritage List for England, which also contains information on registered battlefields, parks and landscapes, and historic wreck sites. You can also contact your local authority, who can tell you if the area you are interested in is a conservation area. 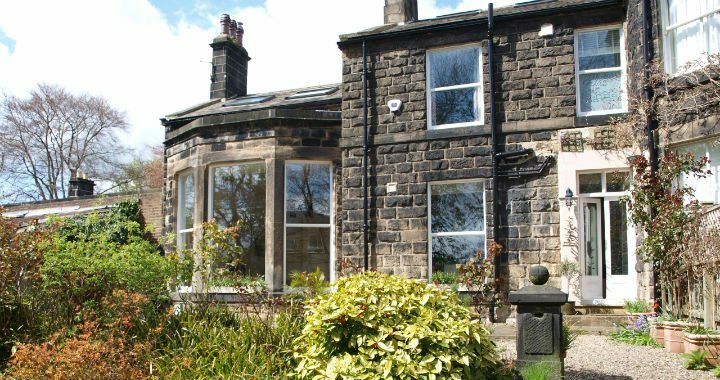 If you would like to discuss making changes to or refurbishing your listed building windows, or if you live in a conservation area and need some advice or a free survey, please call 0333 6000 196 or email enquiries@yoursashwindows.com/harrogate. yoursashwindows.com/harrogate Ltd is an Appointed Representative and provides a pure client Introduction through Improveasy Ltd., a company registered in England and Wales (Co. Reg. number 7807352). Registered Office: Harrogate Business Park, 3000 Aviator Way, Harrogate M22 5TG. The firm is authorised and regulated by the Financial Conduct Authority (FRN 708623). The firm is authorised as a Lender (limited only to green deal finance plans). It also acts as a Broker, not a Lender, and offers credit facilities from a panel/one lender. The credit is subject to application and status.